Half the hair transplantation process is technique and maintenance treatment, and the other half is the hairline design that has to be extremely artistic. I sometimes see patients of mine that have such a natural result I even can not tell they had a transplant! On the other hand so many unfortunate men and women go commercial and by trying to save money, they are stuck with a horribly artificial-looking hair over their head, or poor results. Proudly announcing the first Artas® Robotic FUE hair transplantation device in the Middle East, now available at Dr Touma’s clinic in Beirut. “‘It has revolutionised the hair restoration procedure and made it perfect!’ . The procedure is done under local anaesthesia, the FUEs are removed by the robotic automated system which evaluates each hair in the donor area and adjusts to its depth and angle so the extraction process is fast and flawless. The incisions in the recipient area are planned on the computer and again perfectly executed by the robot under the guidance of Dr Touma and his staff. Artas’ innovative approach to hair transplantation starts during the consultation stage. Using photographs of the patient’s head, ARTAS® Hair Studio Technology creates a customized 3D model of the transplant design, allowing the patient to see and adjust the end results beforehand. 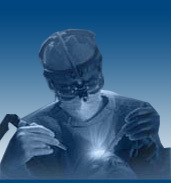 Because every patient’s requirements are different, ARTAS® Hair Studio Technology enables the physician to show the patient the final outcome, including number of hair grafts required, direction of the implanting final hair style, allowing the physician to achieve the results the patient wants, and eliminating any guesswork. Artas’s advanced technologies offer patients an unpreceded accuracy in designing and implementing the desired result. This virtual hair studio shows the patient the end result. This hair design plan is transmitted to the digitized harvesting and robotic site creation to produce an accurate result that is identical to the virtual pictures shown to the patient. "The final results are absolutely stunning, and the procedure is cutting-edge medicine”. Natural, life-long hair restoration is now available thanks to the development of current, state-of-the-art techniques. Traditional hair transplantation involves removing a strip of permanent hair-bearing skin from the back or sides of the scalp (donor area) and then, the strip is usually microscopically dissected into micrografts (containing 1-2 hairs) and minigrafts (containing 3-4 hairs) each preserving the integrity of follicular units. The strip is closed in a most refined way with sutures and heals as a very thin line of approximately 1 mm that is covered by hair 3 mm or longer. Follicular Unit Extraction (FUE) is an exciting new technique whereby hair is removed from the donor back area of the scalp using a very small punch technique, instead of removing a strip. The donor area heals with no linear scar, and only small white points remain, that are covered with hair 2 mm or longer. FUE is useful for patients that need treatment of small areas or who don’t want a scar in the back of the head, but it only allows the transplantation of less than 50% of the total hair number possible with the strip technique. Dr. Touma was the first user of the Neograft® device in Lebanon, however he discontinued its use due to high transaction rate with this machine. He has since developed a meticulous hand punch technique that keeps all FUEs intact, and can do large FUE cases that routinely exceed 2000 hairs/session. Many world class hair transplant experts still favor the strip technique because of the high yield of hairs it allows in a single session. However, FUE is a wonderful technique that is suitable for most people, especially if they like a short hairstyle or those who shave their head. With FUE, the donor area needs to be shaved while hair is left long in the strip technique and covers the linear scar. This patient had a manual FUE at a commercial center, with a failed result. You can see that while a large number of FUEs was harvested in the donor area in the back of the head, very few hairs actually grew in the recipient area in the frontal scalp, evidence of a poor technique causing a lot of damaged grafts that eventually don’t grow. Robotic harvesting ensures that all the harvested grafts will grow, making it worth the extra cost. The carefully dissected grafts are then meticulously implanted into the bald or thinning area of the scalp (recipient area). Implanting micrografts in the hair line has allowed very natural, feathered hairlines, and avoids an abrupt, "pluggy look," that was typical many years ago. A minigraft can be used behind the hairline for added density. Depending on the degree of balding for the frontal area and similarly for the crown area, 1-3 procedures involving several hundred or up to 2000 or more grafts may be required to achieve the desired density (of course, more procedures could be done if hair loss progresses or greater density is desired). Many of our strip sessions technique range between 4000-6000 hairs/session with some sessions reaching 8500 hairs. Within 24 hours small crusts will form on each graft which are shed in approximately 7-10 days. The grafted hairs will start to grow by 6-12 weeks after the procedure and will continue to grow for a lifetime. Using medical therapy as prescribed by Dr. Touma will enhance hair growth and preserve as much of the pre-existing hairs as possible, so as to reduce further need for hair transplantation.